You’re in the market for a job and are thinking of working with a recruitment agency. A recruitment agency’s primary function is to connect suitable job seekers with companies looking for candidates to fill new or vacant positions. But it’s important to remember that not all employment agencies are created equal or have the same function or mission. Looking for a job can be a challenging experience and working with a recruitment agency can feel intimidating, especially if you’ve never done so before (and here’s what you need to know to get noticed). So, if you want to make the most of this relationship, before you sign on with a recruitment agency, there are a few elements to consider. There are no candidate fees involved. While companies who hire employees via a recruitment agency might have to pay a placement fee, as a candidate you will not be required to pay any of the costs of working with a recruitment agency. All you have to do is be an honest, ‘great catch’ candidate and let the recruitment agency take on the job of finding you the best possible role. If an agency charges you as a candidate for their services, they are probably not the most reliable or ethical operation. Some recruitment agencies specialise in certain areas. The most experienced and efficient recruitment agencies specialise in certain industries or have certain expertise. Narrowing their focus means they are more likely to have expert knowledge of factors such as job requirements and salaries, how to handle interview questions from specific employers, as well as helpful industry-specific connections. To get the best out of a recruitment agency’s expertise, it’s a good idea to work with an agency that understands your industry, qualifications, and desired career path. At Lee Botti and Associates, for example, we specialise in permanent and temporary employment for the supply chain, logistics and travel industries, with bases in Gauteng, Cape Town and Durban. Recruitment agencies are not the ones that offer you a position. As explained above, recruitment agencies work as go-betweens, connecting candidates with companies looking to hire. While they will help you understand the current state of the industry, how to put together a job search strategy, how to prepare for interviews, and the best way to move from one company to another, they are not there to give you career advice, write your CV, or offer you an actual position within a company. Their role is to save you time, money, and energy by using their expertise to find suitable positions and introducing your CV to the right companies. Recruitment agencies are often a company’s first choice. While there are online recruitment platforms and internal recruiters, most well-established companies rely on professional recruitment agencies to help them find the right people for their company. This saves them having to manage the recruitment process from the ground up and waste time sifting through CVs and undergoing interviews with unsuitable candidates. While you might find your ideal job on an online board, you will most probably have the best chance of success, especially for senor positions, by working with a recruitment agency who is already working with organisations in your industry. Lee Botti & Associates, for example, is well-established and has an excellent reputation, making it a must for employers seeking a reliable recruitment service and for candidates waiting to get their CV in front of the desirable employers. Want more reasons why we live up to our motto of ‘excellence through service’? Read this. 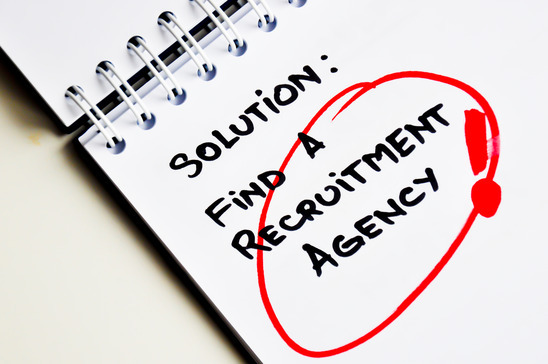 Looking to work with a recruitment agency and not sure which one to choose? Read this. And, if you ask us, we’d say the only answer is Lee Botti & Associates. With over 40 years’ experience countrywide, we are expert recruiters. We work with only the best consultants and are dedicated to superior service and client satisfaction for both our candidates and the companies we work with. Let us help you find just the right job – that’s what we do!